The Dallas Police Department is seeking the public’s assistance in gathering information about the murder of Andre Gibson. On October 8, 2017, at 11:00 p.m., the victim, Andre Gibson, was shot and killed near the Aria Motel at 4100 Preferred Place. 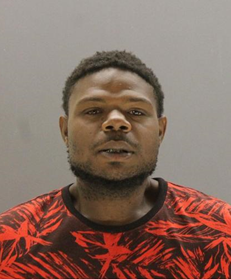 If anyone has any information regarding the person who committed this crime, please call Dallas Police Homicide Detective Rick Duggan at 214-671-3642, richard.duggan@dallascityhall.com, or call Crime Stoppers.